Shergazi-Khan madrasah is one of the oldest architectural monuments of Ichan-Kala. The period of its construction is the first quarter of the 18th century. 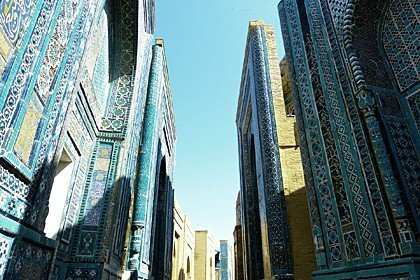 Its construction was initiated by Shergazi-Khan - the representative of the Shibans, who ruled until coming to power of the Kungrats who were the last dynasty on the throne of the Khiva Khanate. Shergazi-Khan was a very remarkable man, he was educated, displayed abilities, that made him standing out of other rulers. It is noteworthy that he was nicknamed "sohibqiron", meaning "Lord of the happy combination of planets". Once famous Amir Temur had this nickname. 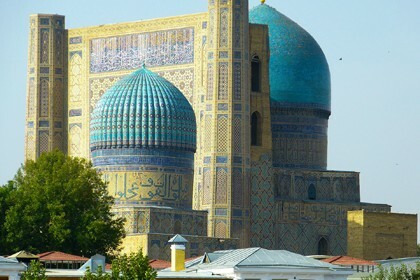 Shergazi-Khan’s reign is marked with military successes in the history of Khorezm. 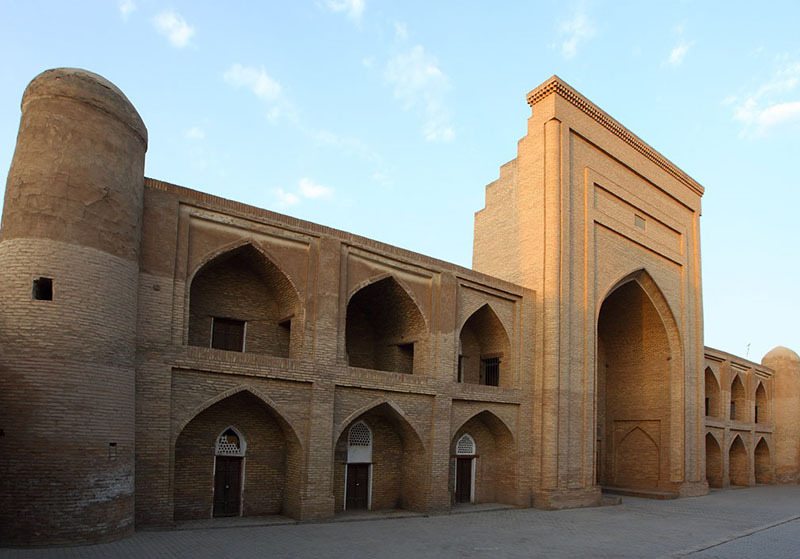 In 1718, being at the head of campaign against Khorasan and achieving victory, Sherazi Khan brought from the conquered territories large numbers of slaves and decided to use them for construction of a new madrasa. Although the madrasa nowadays is a complete building, in that time it was not completed. This is due to the Act of the Khan. According to historians, Shergazi Khan pledged to bestow the freedom to the captives when they finished the construction. However, in 1728, when the building was constructed, Khan, who came to look at the result of the work, suddenly refused to comply with his promise. Driven to despair prisoners attacked ruler and Shergazi-Khan was killed there, in the madrasa. Perhaps that is why the building is not remarkable for splendor of decoration or graceful ornaments, decorating other monuments. 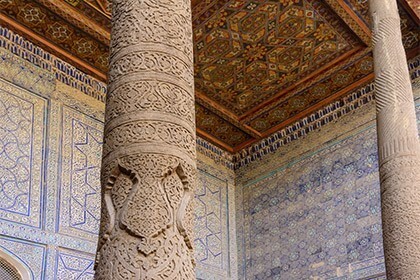 On the contrary, Shergazi Khan’s madrasa is distinguished by simplicity and inconspicuous appearance. However, in the case of historical monuments it does not matter because whatever their history is and what differentiates them from each other, this is exactly the thing that makes each monument unique in its kind. 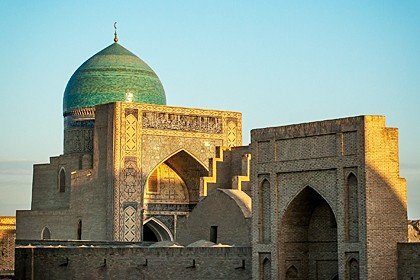 Despite the sad end of the Khan’ story, over time the madrasa obtained the fame of one of the best madrasas of the region. Many illustrious scholars and poets studied there. Opposite to it, there is famous Saint Pakhlavan Makhmud’s mausoleum.